I’ve been focused on my equine experiential learning certification course this past week and need a break. So much to process and integrate and hope to heaven I assimilate before doing my practicums in the coming weeks. 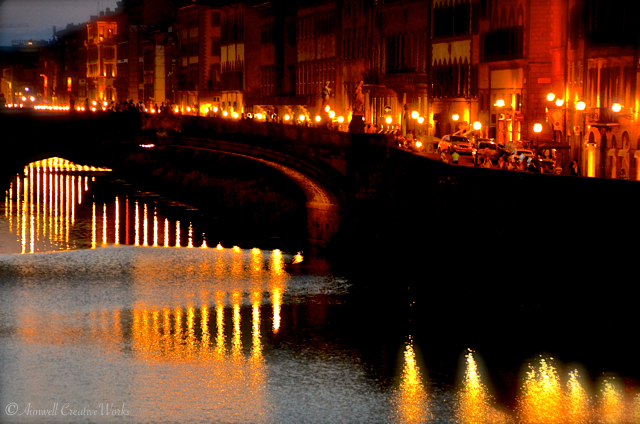 So, memories of our amazing trip to Italy last June come to mind as I consider this week’s challenge theme of “Nighttime,” in particular the fiery glow of a Firenze evening. 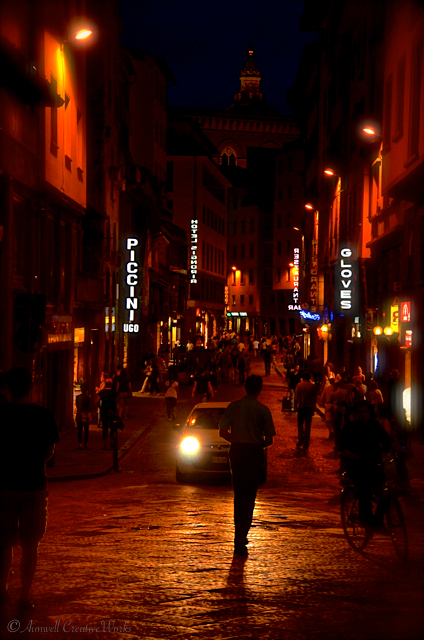 These images conjure memories of sounds and smells and the warmth of a lovely June evening strolling through the cobbled ancient streets of this historic city. 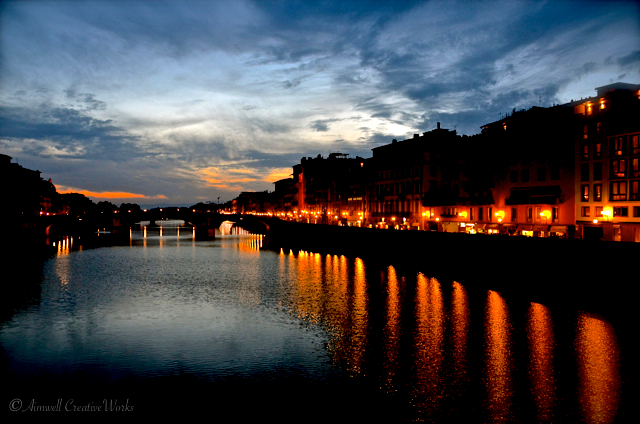 This entry was posted in Italy, Photography, Travel, Uncategorized, Weekly Photo Challenge and tagged Aimwell CreativeWorks, Daily Prompt, Dorothy Chiotti, Firenze, Italy, Light and shadow, nighttime, Photography, postaday, summer, Travel, water, Weekly Photo Challenge. Bookmark the permalink. Just returned from there and wish I could go back! I hear you. 😉 … Thanks for stopping by. No repeats until you’ve completed the bucket list!!! Beautiful shots and lovely memories! Ha ha! 😄 My bucket list is full of repeats. Prague, Vienna, Paris, London, Florence, Venice, Rome, Barcelona, Edinburgh … And on. Most of the new places on my bucket list include European locations so it’s a safe bet that one way or the other I will find my way back to these beautiful places. 😉 Thanks for stopping by.